Many thanks for your report and feedback. 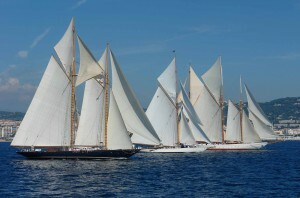 It all appears to be quite clear enough for me to contact Sam at N Y A and continue with an offer on this boat. I have to visit my bank tomorrow morning so I will take your payment details with me and settle the account in full then. As mentioned during our meeting would you please send me a copy of the current safety certificate. 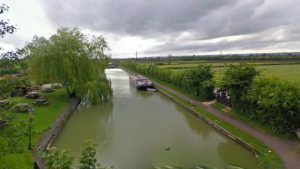 May I add that I was extremely impressed with the service I have received in this matter, you personally, showed lots of patience and understanding in carrying out your survey whilst being ‘watched’ and followed around the boat by a complete novice to boating. Had the roles been reversed I think either you or I would have finished up in the river. Whilst I do not know of anybody in the Norfolk area seeking a similar survey at present, I will have no hesitation in recommending your company’s services in the future. 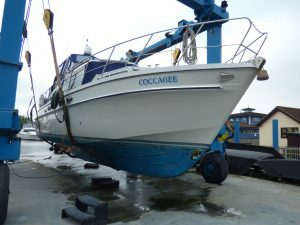 As meteorologists warn an ‘El Nino’ event is likely to cause widespread snow events and ice storms from early December onwards, European Marine Services is calling for boat owners to prepare for winter weather. ‘El Nino’ occurs when the sea surface temperature in the Pacific Ocean is warmer than average, prompting floods in tropical areas and colder winters in the UK. 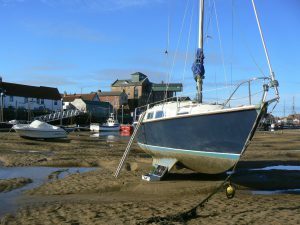 Heavy rain, flooding, winds, ice and snow can all cause problems for vessels: they could be swept away, blown off course, take on water, sink or suffer a hull breach. And with nearly one in three of call-outs is due to a lack of general maintenance, we fear ‘neglected’ boats will be put at risk. 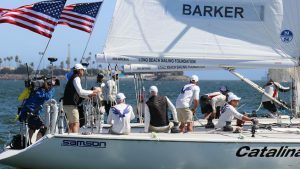 Check the batteries are fully charged, with a bilge pump in continuous operation even a fully charged battery will only last a few days. Check bilge pumps are fully operational and left on ‘automatic’ setting. 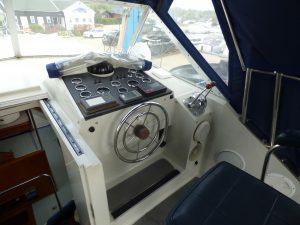 If there’s no bilge pump or only a manual one is fitted, install an automatic bilge pump – and don’t be complacent; just because it automatically operates, it still needs checking (it relies on battery power so unless the boat’s shore powered, there isn’t an unlimited supply). Check drain holes and clear debris – keeping these clear will stop water running into the engine room. 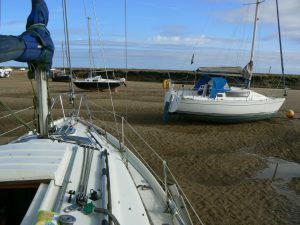 Check ropes and anchoring points, if the mooring’s at risk of flooding, run a rope to locations that can still be accessed even in a flood situation. 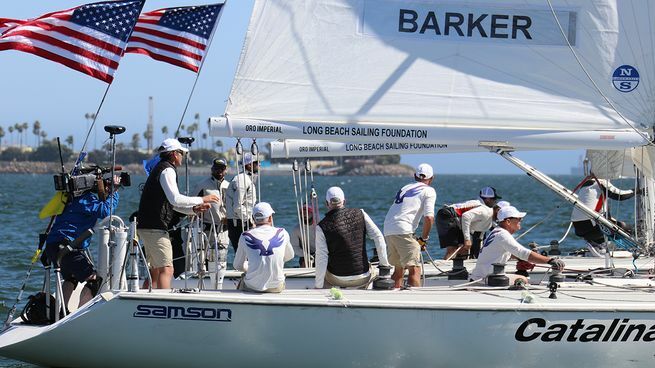 In windy conditions, check ropes for chafing and ensure they are well positioned and adjusted to the conditions. Before moving a boat in ice consider the importance of your journey – it’s easy to believe you’re impregnable when surrounded by steel but even a couple of inches of ice can pierce a hull. Check river conditions, and again consider whether the journey is really necessary; river conditions can change quickly and easily catch you unaware. Get updates from the Environment Agency. Check the wind direction before manoeuvring. When coupled with difficult river conditions, the windage of a boat can be easily underestimated and your vessel will become uncontrollable. 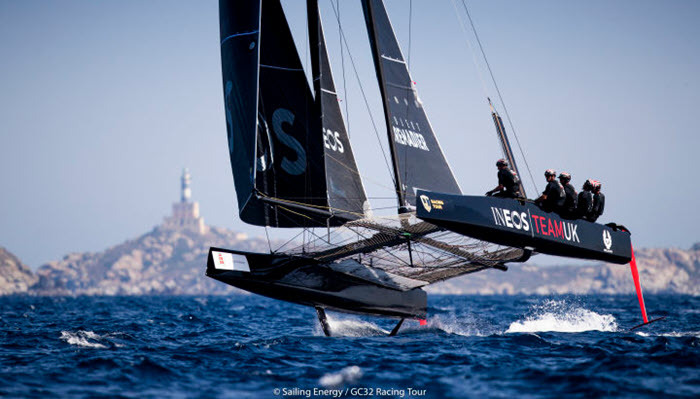 Ben Ainslie and INEOS TEAM UK want to win the America’s Cup – Britain has never won the Auld Mug despite hosting the first Cup in 1851. In fact the famous nautical nation has failed to win in 21 separate challenges over the intervening 167 years. Plymouth’s luxury boat maker Princess Yachts has sailed back into the list of the UK’s biggest mid-market companies after making an £11million profit. The Stonehouse-headquartered company fell out of the list in 2015 after suffering a slump in sales, but during the past two years it has reversed its fortunes and is steaming ahead again. The company has docked at an impressive number 87 in the 14th annual Sunday Times Grant Thornton Top Track 250 league table, which ranks Britain’s private mid-market growth companies with the biggest sales. The boat-builder has leapfrogged St Austell Brewery, which has four Plymouth pubs, as well as a Barbican coffee outlet, which is at number 173, up two places, with profits of £13million and sales of £169million. But because the list is focused on sales it means Princess Yachts, with £274million in sales in 2017, a jump of 26.6 per cent, is higher in the chart. The company, which now employs close to 3,000 people at sites around Plymouth, now has an order book of £750million. It is a huge turnaround for the firm which a year earlier had made a £7million loss. After a stellar year the firm is now enjoying its highest sales figures in its 53-year history. 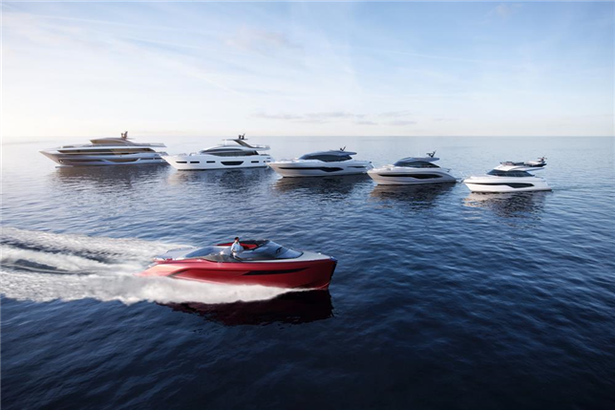 Princess’ recent performance at the industry’s biggest global sales events – the Cannes, Fort Lauderdale, Southampton and Düsseldorf boat shows – saw the company power ahead across its entire fleet. It is now predicting profits could reach £30million for 2018 and it launching even more designs. A spokesman said: “We have launched seven new yachts already in 2018, and announced three more new yachts that will arrive over the next three months. 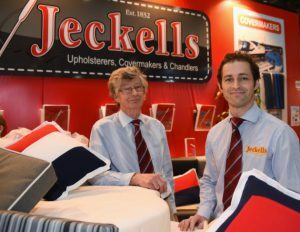 Jeckells and Son signed up to attend TheYachtMarket.com Southampton Boat Show for the first time following the cancellation of the 2019 London Boat Show. Nearly two months of hot, sunny weather has put Norfolk’s tourism businesses back on track after a disappointing start to the year – with some now exceeding last year’s performance. While for some the heatwave is causing serious problems, for tourism and leisure firms – particularly those in the day trip market – it is a chance to make hay. Boating firms on the Norfolk Broads are making the most of a recent staycation boom as the county’s residents eschew foreign climes for a day trip or holiday at home. At Ferry Marina in Horning, more local custom has been boosting its day boat hire while a steady increase in summer bookings for its holiday cruisers since the spring has left it with limited availability for those looking for a last-minute break. 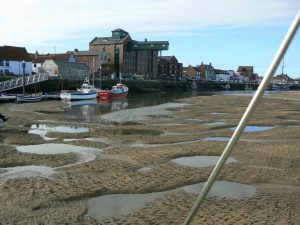 Amanda Mason, marketing manager at boat hire firm Herbert Woods, said day boat hire at the Potter Heigham company was up by 24% over the past few weeks on the same period last year. Annie Hamilton, of yacht hire firm Eastwood Whelpton in Upton, said the company had received a significant number of last-minute online bookings – and that the scorching weather had led some customers to borrow solar showers to keep cool on their craft. The county’s attractions are also soaking up the benefits of a hot summer – with many such as Bewilderwood and Roarr! Dinosaur Adventure now heading into their busiest period, the summer holidays, on a wave of higher attendance through June and July. Millie Batch, head of marketing at Bewilderwood, said attendance so far in July was up compared with 2017. Accommodation providers are feeling the benefit of the heat too as guests feel more positive about making bookings. At Norfolk Country Cottages, forward bookings for 2019 so far are up 1,327% compared with the same time last year, when the weather was more than 10 degrees colder. The Holt and Reepham based company said bookings for longer breaks (between 8 and 18 days) are up by 195% compared to June and July last year and up 37% in August while short break bookings were up 78% year-on-year during June and July. Fortunately this has not yet been tried on the Norfolk Broads ! A boater accidentally drained a stretch of the Kennet and Avon Canal after leaving all the lock gates open. 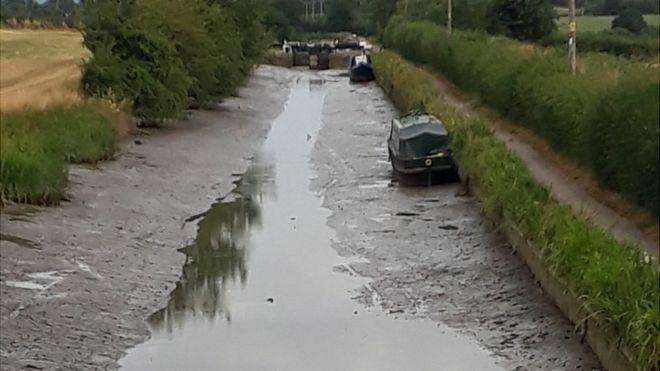 A section of the waterway was left with hardly any water on Tuesday near the Barge Inn in Seend, Wiltshire. A spokesperson for the Canal and River Trust confirmed what happened was not malicious but that the boater was “rushing and left the paddles up”. The lock paddles “work like a plug on a bath in allowing water in and out of the locks,” he explained. He added that the trust had since restored the water levels. The Kennet and Avon Canal is an 87-mile (140km) waterway linking the River Thames at Reading to the River Avon in Bath. It was originally opened in 1810, but gradually fell into decline after the Great Western Railway was built. The waterway was completely restored by volunteers and officially reopened by the Queen on 8 August 1990. 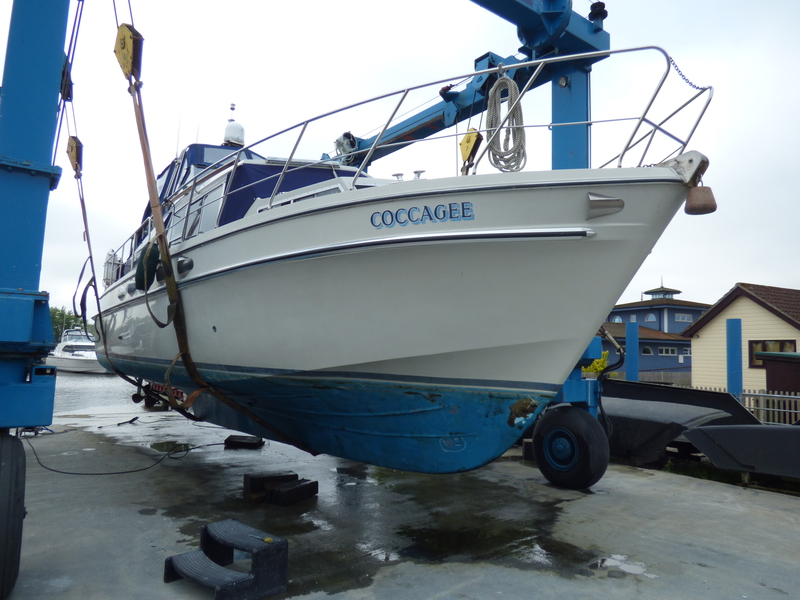 We are qualified marine surveyors & consultants (Member IIMS, YBDSA) based in Norwich Norfolk and undertake marine surveys throughout the UK & Europe – All types including the popular pre-purchase survey – covering GRP, wood & steel. Other services include Expert Witness Reports CPR 35 compliant.